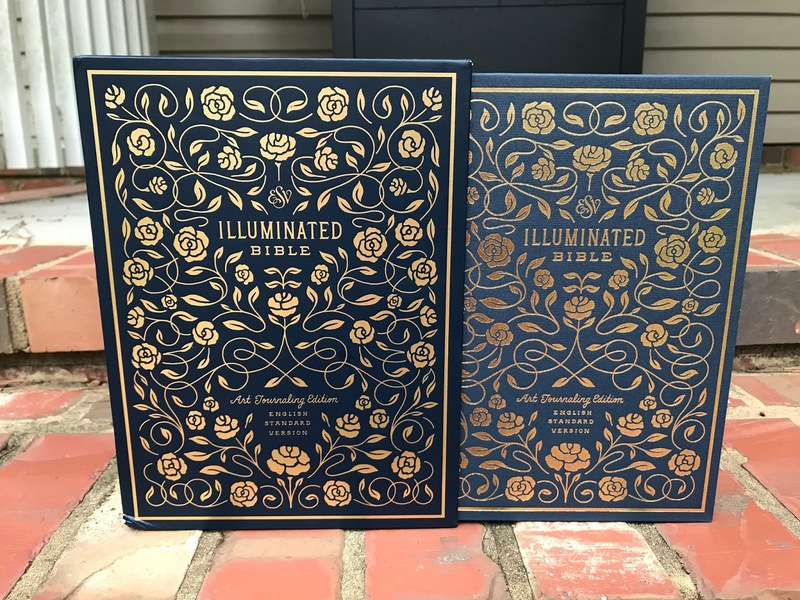 The ESV Illuminated Bible places the full ESV text alongside over 500 elegantly hand-lettered gold ink illustrations by renowned artist Dana Tanamachi. Printed on thick cream-colored paper, the Bible's single-column text setting and wide margins provide generous space for additional notes, prayers, and designs—inviting readers to creatively engage with and reflect on the beauty of God's Word. Dana Tanamachi is an American lettering artist, graphic designer, and illustrator whose exquisite typographic murals ignited the worldwide chalk-lettering trend. She has been commissioned by clients such as Instagram, Target, Google, Time Magazine, Nike, and West Elm. 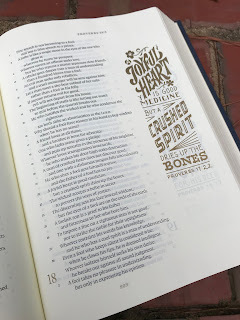 The ESV Illuminated Bible is absolutely beautiful. 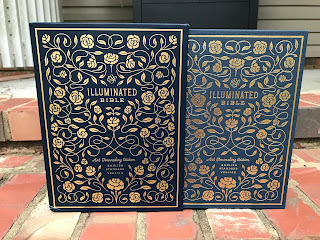 The pictures online really do not do the gold ink illustrations justice. It looks even better in person. 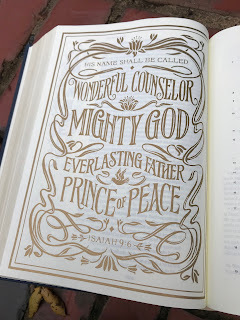 They picked really great verses to feature in the good lettering. Also, the hard cover and edges of the pages sparkle with gold. So pretty. This Bible is perfect for art journaling...or even just writing notes. There is plenty of room in the side columns for both of these tasks. The only con I see is that it is pretty hefty. Would not be great for on the go, but it is perfect for keeping at home to journal in.